Millennials unlike their Boomer parents tend to seek out more urban than suburban environments to raise their new and young families – is that true or a throw away line? From personal experience it would be a bit of both with my own parents seeking either suburban or semi rural life styles while myself with my own young family live in a suburban area that borders a future urban area. By future urban area I mean Papakura Metropolitan Centre – one of the ten Metropolitan Centres in Auckland. 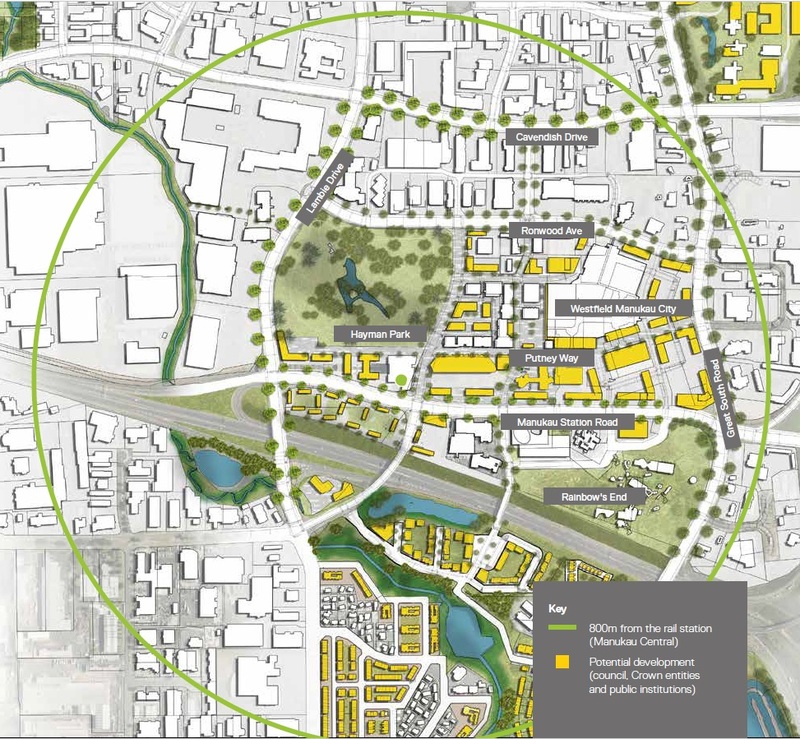 The idea of the Metro Centres was to create second tier medium to high density urban centres (only behind the first tier City Centre(s)) surrounded by their semi urban and suburban residential areas (South Auckland with Manukau is an exception). While for some reason Auckland Council has forgotten about the Metropolitan Centres in the City Building Phase this piece from Strong Towns might urge Council to essentially pull finger and transform these suburban centres into urban centres. The idea being that through a stepping down fashion an urbanised Metropolitan Centre would allow their respective residential areas to urbanise as well. In fact, all the photos immediately above were taken in our walkable, mixed-use neighborhood in Tulsa. Ultimately, as millennials with children get priced out of the major metropolitan cities, they are now looking at 2nd- and 3rd-tier cities to provide them with what they want. 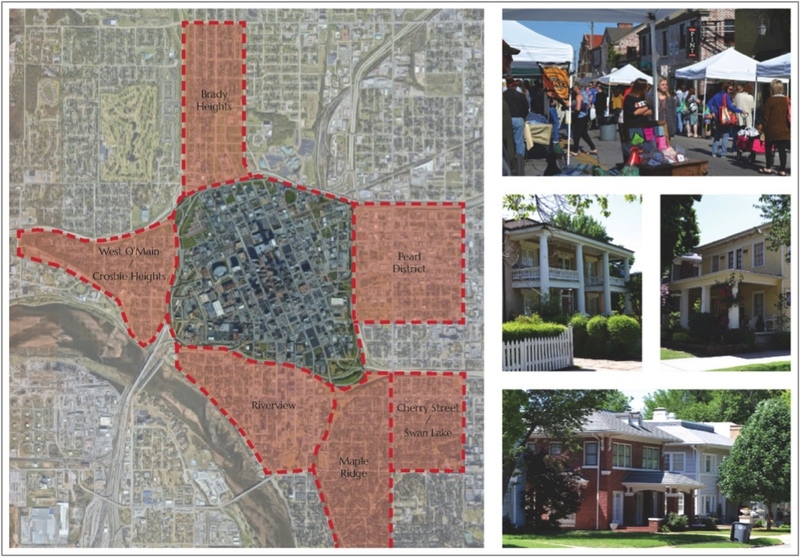 What they are finding in these 2nd- and 3rd-tier cities is affordable housing in traditional pre-war neighborhoods on the immediate edges of downtown. What’s also attracting millennials to these 2nd- and 3rd-tier cities is that they are a size that makes getting involved locally (and making a big impact in the process) possible. Additionally, given that the suburbs of these cities are where many millennials grew up, relocating to these places puts family (and ultimately child support) within close proximity. Something to note, however, is that not all collar neighborhoods are equal. It all depends on where they are on the socio-economic spectrum or in the revitalization process. 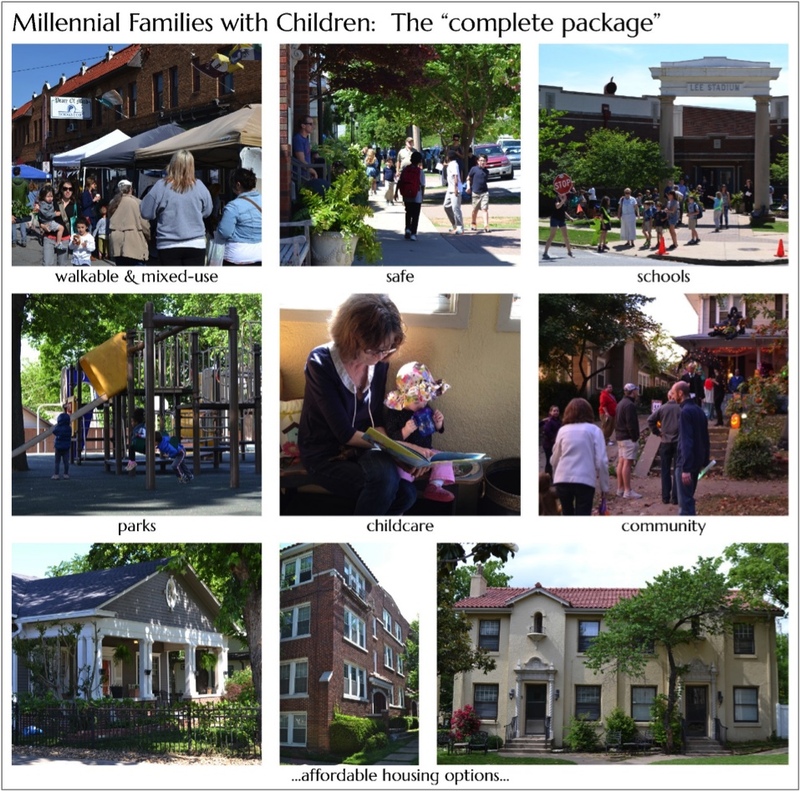 What this has created is a variety of scenarios or solutions for attaining “the complete package.” In the next article, I’ll highlight a few different and creative affordable urban lifestyle models for urban families with kids that we’ve found in Tulsa’s “collar” neighborhoods alone. Second and Third Tier Cities would be Hamilton and Tauranga for Auckland with Palmerston North being it for Wellington. Given each can be or is linked up by transit rail (see: Guest Lecture: Inter-Regional Planning and Sustainability) the commuting and local employment issue would not be a major one for millienials looking to be outside the major Centres bringing up a young family. However, if like me you still want to be inside a major Centre like Auckland then there are “collar” neighbourhoods available in Southern Auckland and in part West Auckland (once its transit infrastructure catches up). Those collar neighbourhoods would be any residential area within about three to five kilometres of a Metropolitan Centre. Southern Auckland has technically three (Botany, Manukau and Papakura) while West Auckland also has three (New Lynn, Henderson and Westgate). Manukau, Papakura, New Lynn and Henderson are linked up by rail and frequent busses with Westgate and Botany in the pipeline for Light Rail over the next decade. Each of these Metropolitan Centres also has generous amounts of Terraced Housing and Apartment or Mixed Housing Urban zoning around them to support higher density housing a millennial might seek out. So the framework is laid down for collar urban neighbourhoods to happen around our Metropolitan Centres (note: all our Metropolitan Centres are also linked up to the main City Centre) what is missing is some proactive planning from Auckland Council. These diverse housing options in an affordable city like Tulsa give my family and other millennial families like mine an array of choices for how we live, work and play. We don’t have to give up the walkable neighborhood in exchange for the good school, or the comfortable home in exchange for nearby amenities. We can choose the housing option that works for us and build a good life there. It’s the complete package. 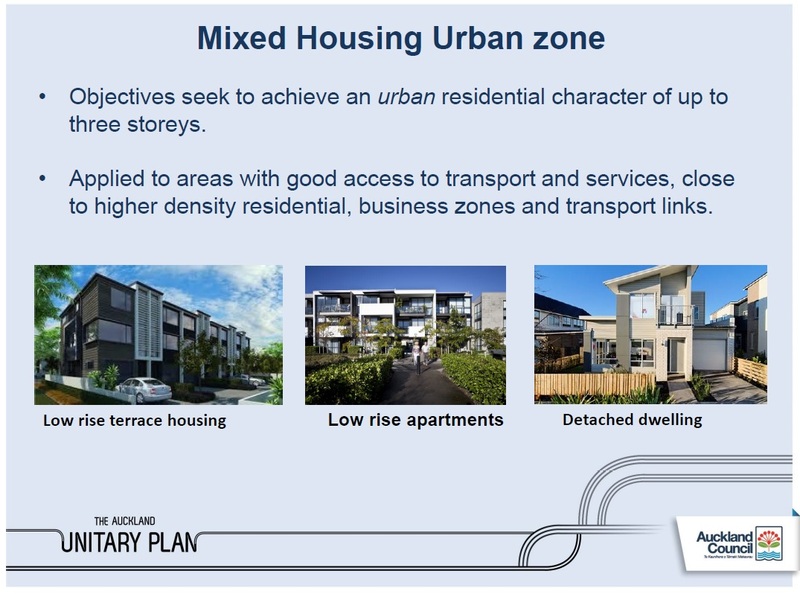 The Mixed Housing Urban Zone, and the Terraced Housing and Apartment Zone in the Unitary Plan are both enablers those the housing topologies mentioned above. Transit for the most part is there with the Southern Metropolitan Centres and on its way for the Western Metropolitan Centres so with that and the Unitary Plan 85% of the foundations are in place for urban millennial and even multi-generational housing. What is missing is political will to lead City building to both drive and encourage these kind of developments. Auckland has an urban development authority called Panuku and Panuku is charged of major regeneration projects like Transform Manukau (some 600ha of land (more than the CBD)) up for renewal). So a prime opportunity for Council and Panuku to spearhead some urban class developments that just might answer Councillor Chris Darby’s housing affordability question. The options are there is we want to support millienials and that is through our Metropolitan Centres. The catch will become is there any political leadership to see this happening?